I saw this iPod-inspired commercial last night - and as some of you may know, I have this fear of shower heads. Ever since I was a baby, I stared at them oddly and I had a hard time going to other people's houses, as I was unaware of the bathroom circumstances and how big the shower heads were or how scary they looked. It's still the first thing I do when I check in to a hotel room and in different countries they vary in looks and sizes. It's quite interesting and I get a rush to check them out. I am so happy my husband entertains me by following me in and looking at them with me. We enjoy rating them like a fine glass of wine. Yeah, it is a totally weird phobia, and I have a hand-held big shower head in my en-suite, which I love, as I can take it down to use - which makes me feel in control of it. Anyways, apart from my super-oddness, this commercial caught my attention. 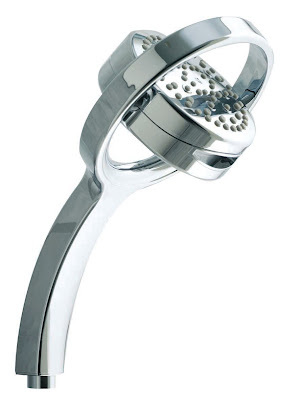 Not only because it's a shower head, but because it is something I think I could really use and love! It's a Handshower, which already sounds nice. 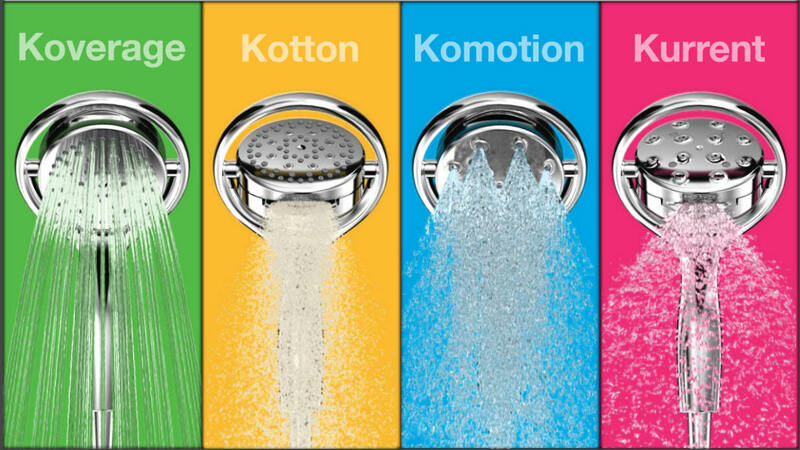 I want the Kohler Flipside Handshower! I stumbled upon your blog while I was looking for the Musician who sings this commercial song- do you know? I tried to look high and low for you to see if I could find the artist, but no dice! I hear that the song could have been written just for the ad, so hopefully they will release a full length version of it! I think it's quite catchy, too! Hey Elle--this is Mark Thiel over at Kohler. We've had a lot of people ask about the song; it is pretty catchy! You are correct, the song was written specifically for the ad. It's available to download from our Flipside site, if you're interested. Just follow the link on the right side of this page that says "Get the Music"
Thanks so much for posting a link. The song is ridiculously catchy, for sure!